So when I say new, I don’t always mean ‘new’ as in a brand new product launch. Sometimes I just mean a ‘new’ product I haven’t discovered until now. So it’s ‘new’ to me. And this month alone, I’ve found some real lovely ones that I felt deserved a good review. The Shine Bright Taming Serum is a new launch for Pureology, which you use on dry hair. Now my hair is fine and naturally flat, so I need the tiniest bit of this. But, I can see this will be fantastic for those with unruly, dry, frizz prone hair. 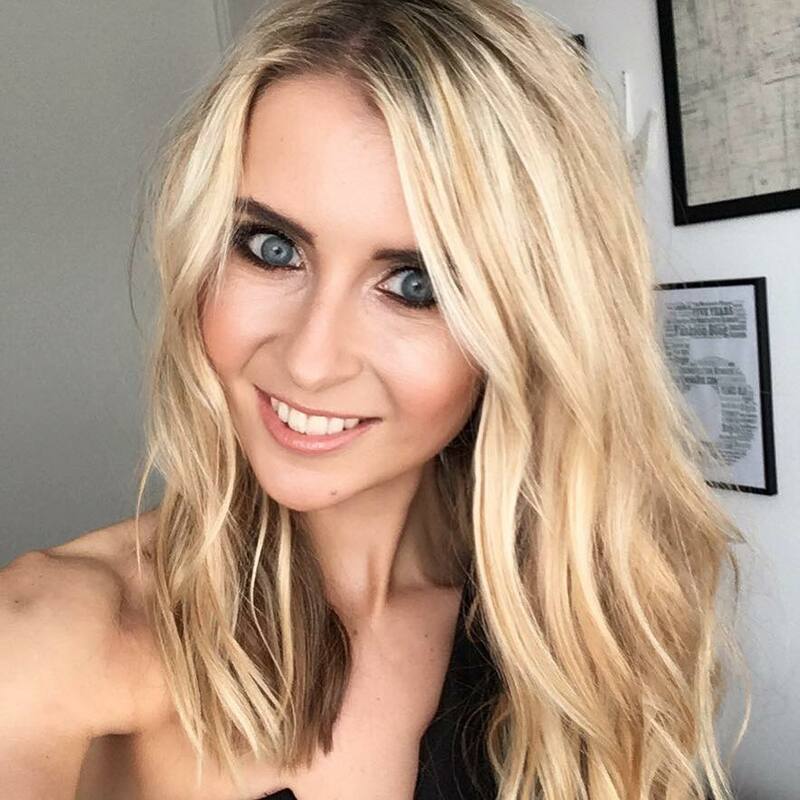 You just apply a pea sized amount to dry hair to smooth frizz, as the serum seals the cuticle, increasing shine without weighing down the hair. It contains Coriander Seed Oil to add shine and tame fly-aways. Plus, it comes packed with an AntiFade Complex® featuring antioxidants and full spectrum UVA/UVB sunscreens to helps colour-treated hair retain that salon-fresh feeling. 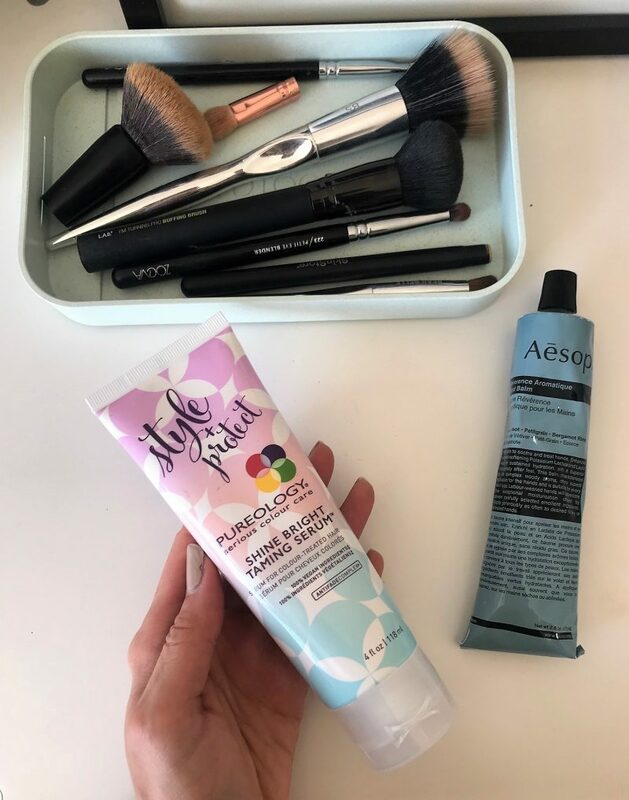 I’ve never been a regular hand cream user, mainly because as much as I’d like to be, I find its a step I just struggle to fit in! However, I was gifted this classic Aesop hand lotion and absolutely fell in love with it. It not only sinks in quickly without making your hands greasy and slippy, but it moisturises pretty much instantly, leaving me with soft, smooth hands. Plus, it smells divine. 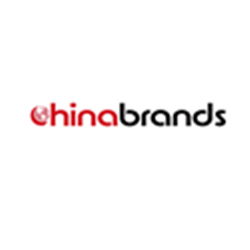 Rich in Mandarin oil, Rosemary Leaf and Cedarwood, Now I just need the matching hand wash! 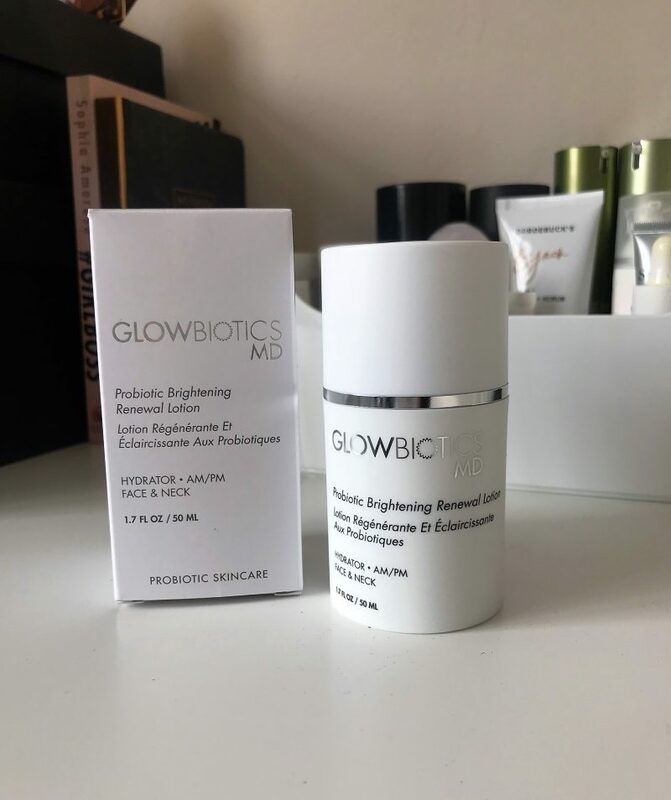 I recently did a call out on Instagram for recommendations for acne and pigmentation helping products, and was brought to this GLOWBIOTICS MD Probiotic Brightening Renewal Lotion. Apparently, it’s HUGE in America – both the brand and this certain product. I have tons of pigmentation from the sun, and also red marks everywhere from acne break outs. so when I heard that this lotion works to replenish your skin’s moisture balance, while restoring youth and radiance to your complexion, I thought hell yes! 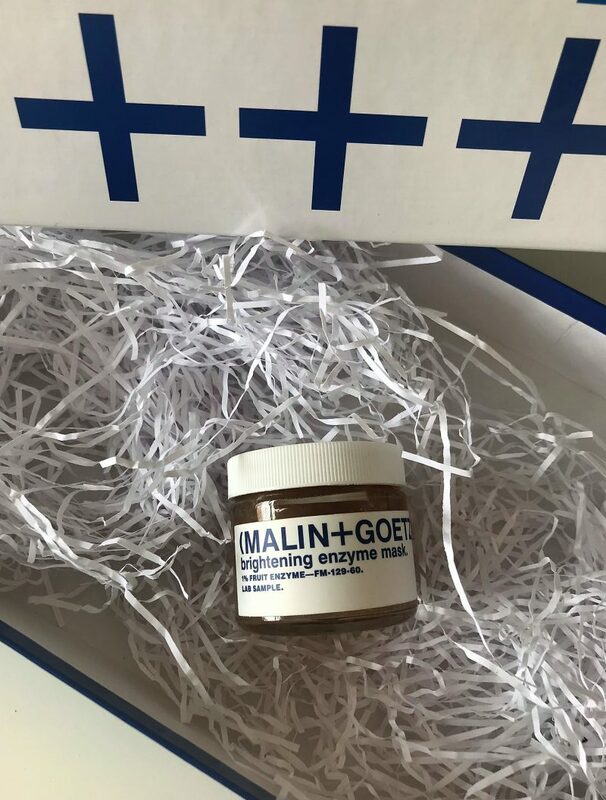 It’s infused with peptides, vitamins, probiotics and skin brighteners, which as well as working to fade pigmentation, it reduces the appearance of fine lines and wrinkles, dark spots and evens the skin tone for a smoother, more radiant complexion. 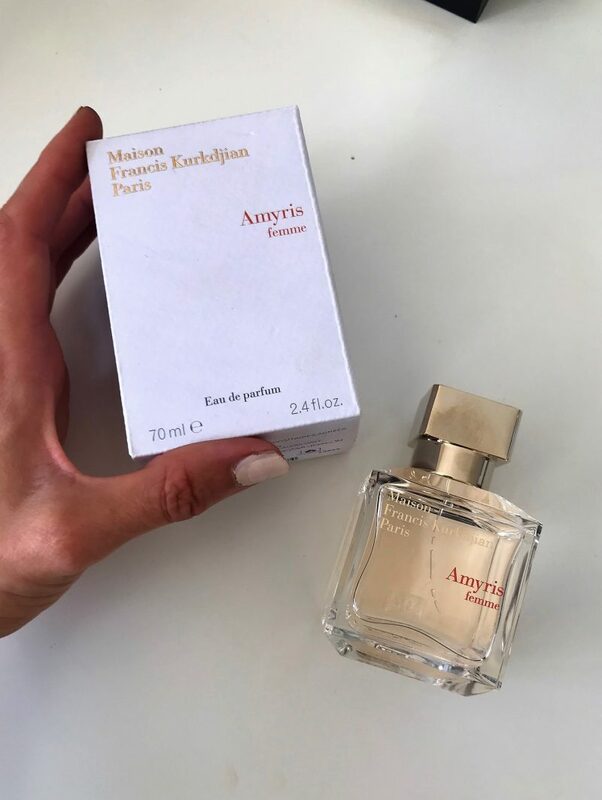 I’m always more than up for discovering new fragrances, and this particular one I was introduced to was an absolute delight. 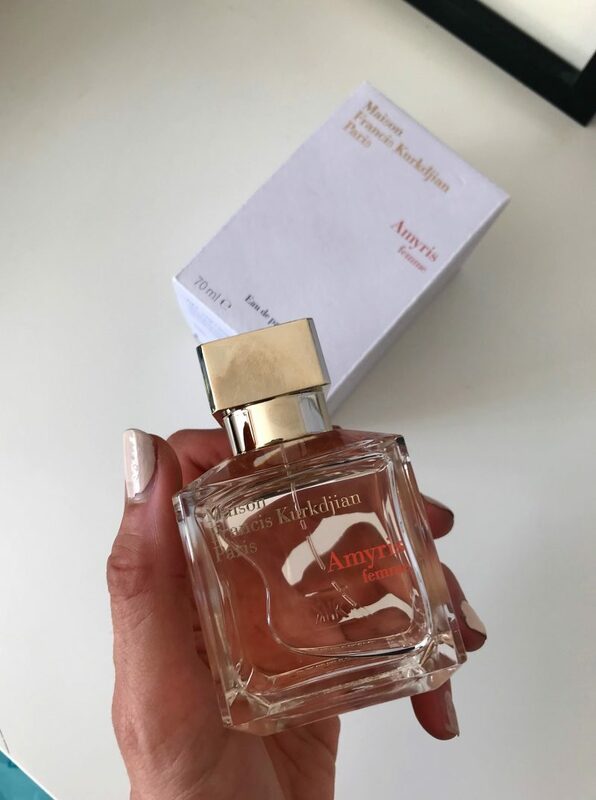 The Mason Francis Kurkdjian Paris, Amyris femme Eau de parfum has now landed onto my dressing table, and has fast become my favourite scent. Not just because of its aroma, but how gorgeous is the elegant bottle too? It’s so heavy and exquisite! This lovely Amyris femme Eau de Parfum is a very girly yet musky scent, mixing floral, woody and luminous aromas. It is born from the flamboyant encounter between the Amyris tree from Jamaica and rare Iris from Florence. Mixed into the concoction is a combination of Lemon tree flower. Californian orange. Jamaican amyris, Florentine iris, Haitian vetiver and Musky amber. So it has the right balance of sweet, floral and strong musk. At £140, it’s a real luxury purchase which makes a stunning gift, and you can get it personalised too! 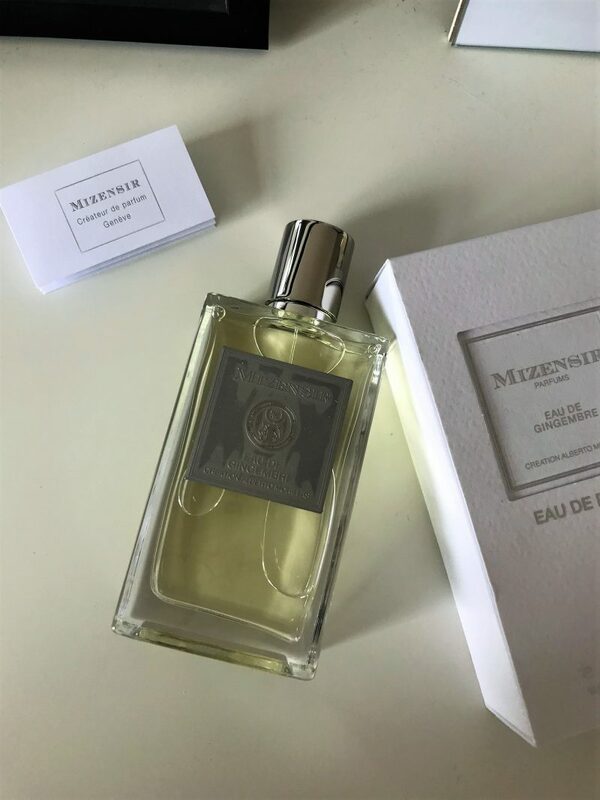 The brand MIZENSIR was founded in 1999 by Alberto Morillas, which is actually a premium Swiss label. 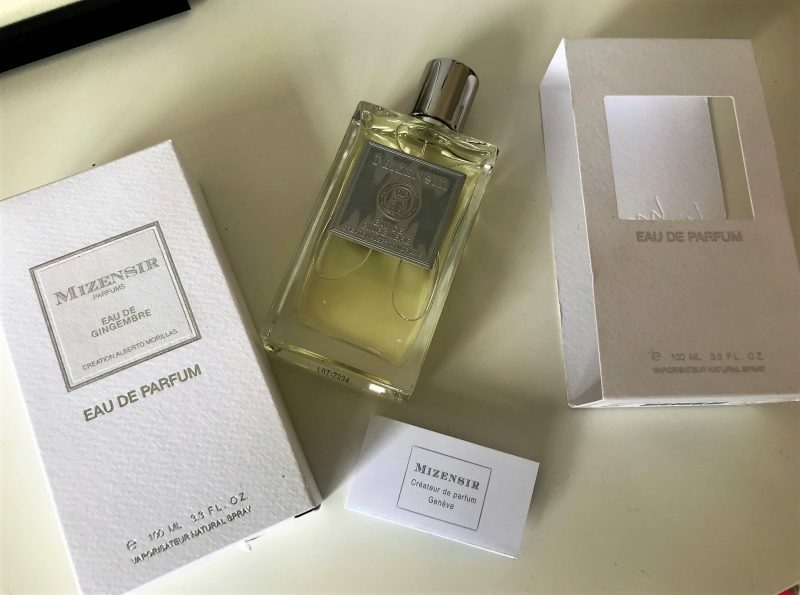 I was lucky enough to get my hands on the Eau de Gingembre fragrance, which is a spicy composition containing intense notes of ginger – a real strong yet feminine scent. You get a nice, refreshing scent of the ginger notes as if it’s been freshly grated. Soooo lovely. 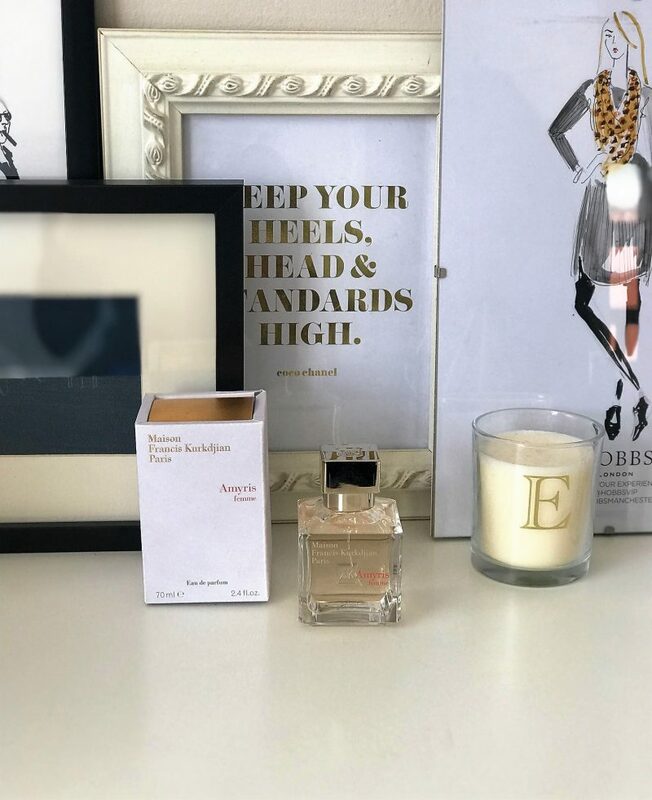 Sweetening it slightly is hints of Bergamot, neroli and petit grain oil which bring in their citrus touch, while fig leaf and cypress oil create an everlasting sprightly feel. 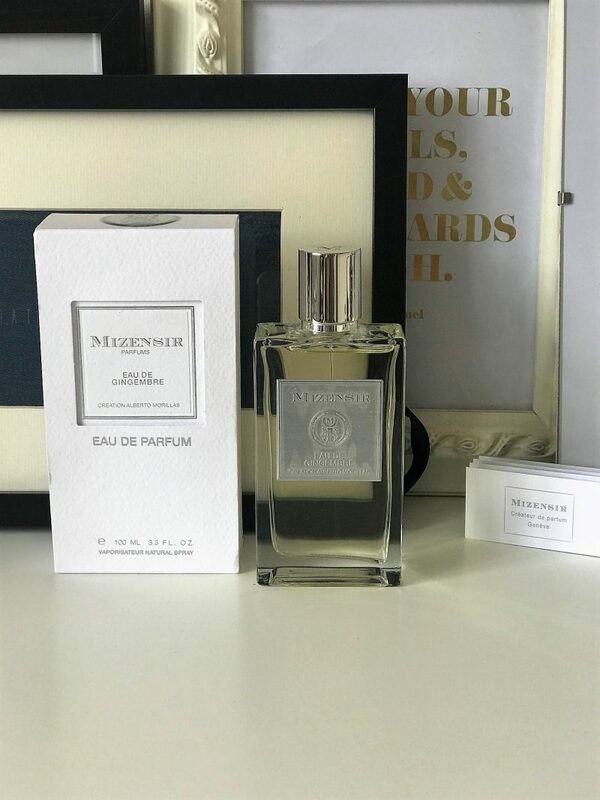 Love this fragrance, and I’m really happy to have discovered it as it’s truly unique and different to anything else I’ve used. Again, it’s a real luxury one and retails at £175 – and boy does it have that expensive, high-end feel and smell to it. One for occasions, I’d say! 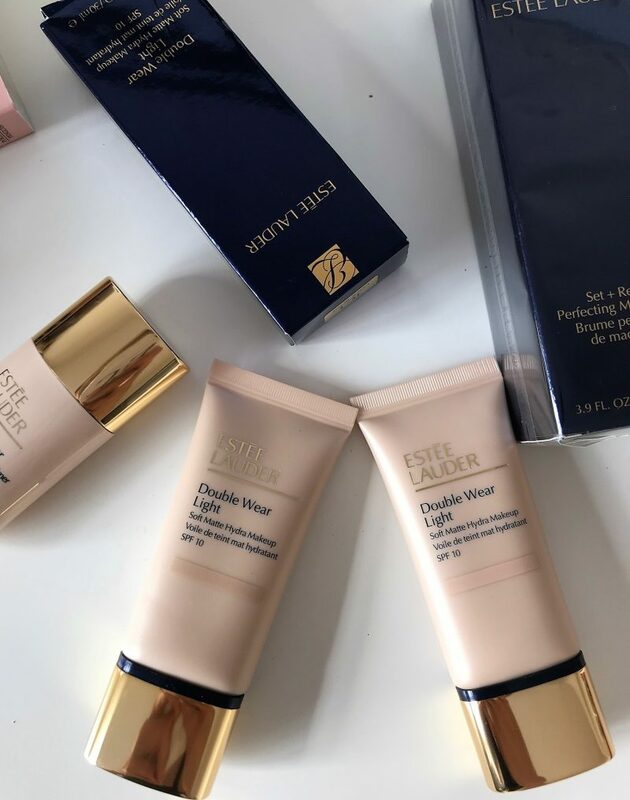 Now I’m a long-term fan of Estee Lauder Double Wear foundation, and happily recommend it to anyone who asks me for foundation reviews. One of the reasons I’m such a die-hard fan is because when I tend to wear foundation, I wear it for a long long time. As in, from 7 am right through to 10 pm some days. So I need those long lasting formulas that don’t budge. 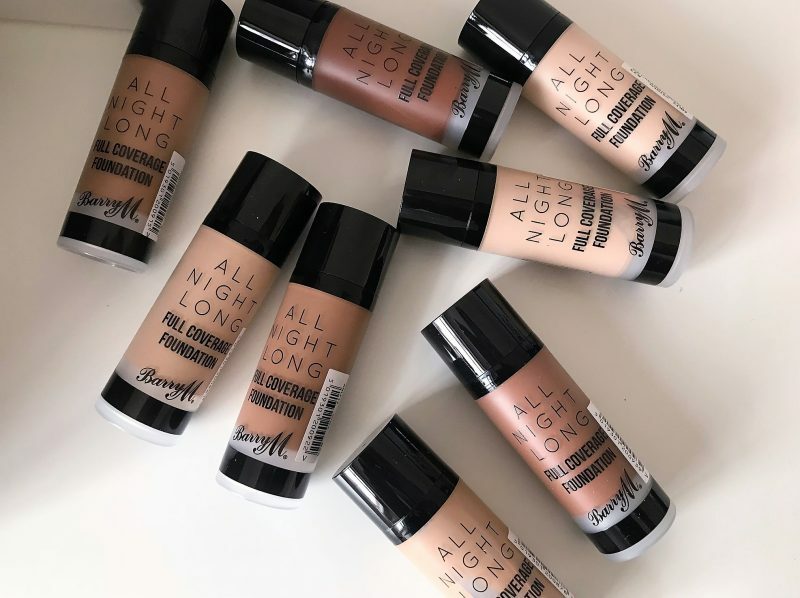 However, some people don’t want the full coverage look, or to be ‘too heavy’, so when I heard that Double Wear Light was launching, I was super keen to try out the foundation. I knew lots of my makeup clients would love to hear about it. In a nutshell, Double Wear Light is matte re-imagined. The foundations are softly diffused, yet still give the whole 24-hour, non-stop wear. They live by the ‘life-proof formula’ of being workout, sweat, humidity, weather and water-resistant. And as well, they help to blurs and reduce the look of pores and imperfections for a photo-ready finish. 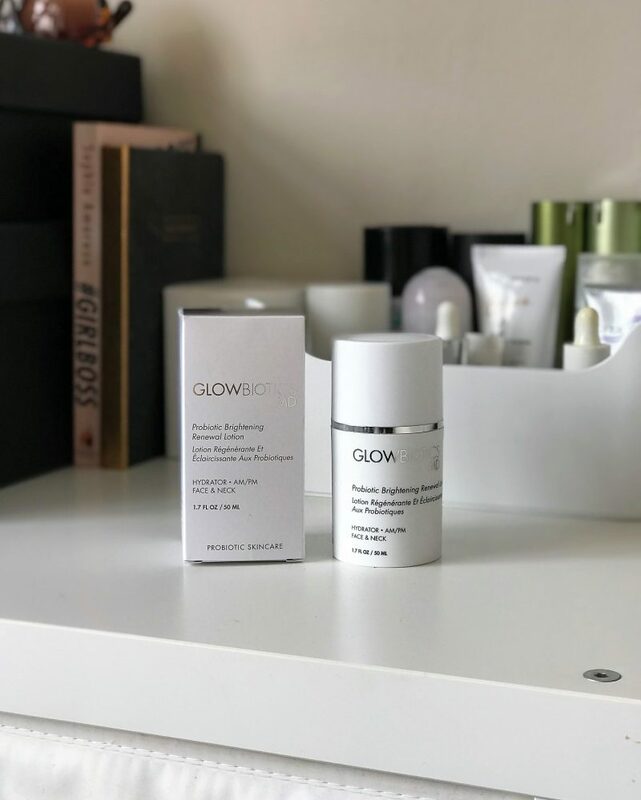 It’s lightweight formula doesn’t clog pores, and it’s also infused with concentrated Hyaluronic Acid which is a brilliant hydrating ingredient to help skin feel comfortable along with controlling oil. 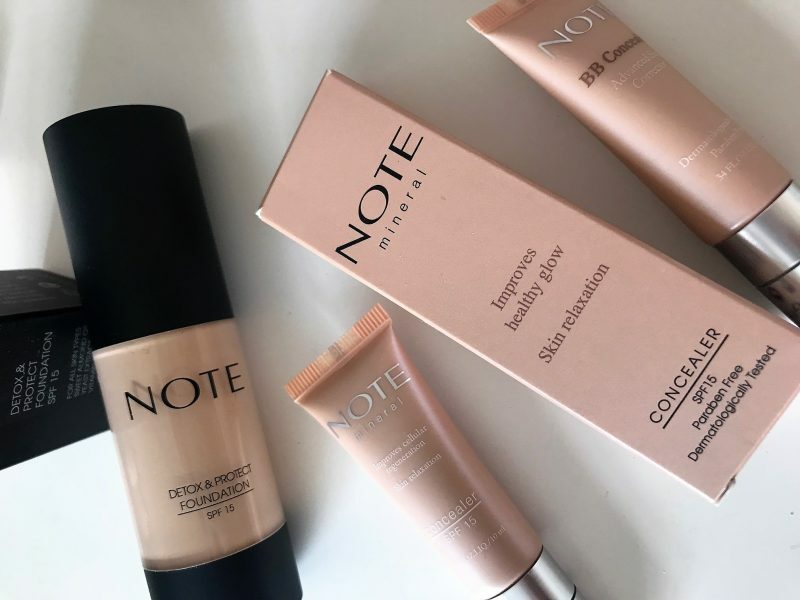 I’ve been trying out these ‘Light’ foundations and building up the coverage to how I want it. So, for the days where I’m not too bothered about looking my best or having that ‘full’, perfected look, just one application buffed into my skin has been enough (a little squeeze of the product!). But, for those days I’ve wanted a more medium coverage, I’ve buffed in around 2 applications of the foundation, layering up on top of my first foundation application to cover my blemishes a little more. And as always, I set with a little setting powder. What’s especially nice about these is that they come in a range of cool, neutral and warm shades, so it’s virtually impossible not to find your perfect shade. 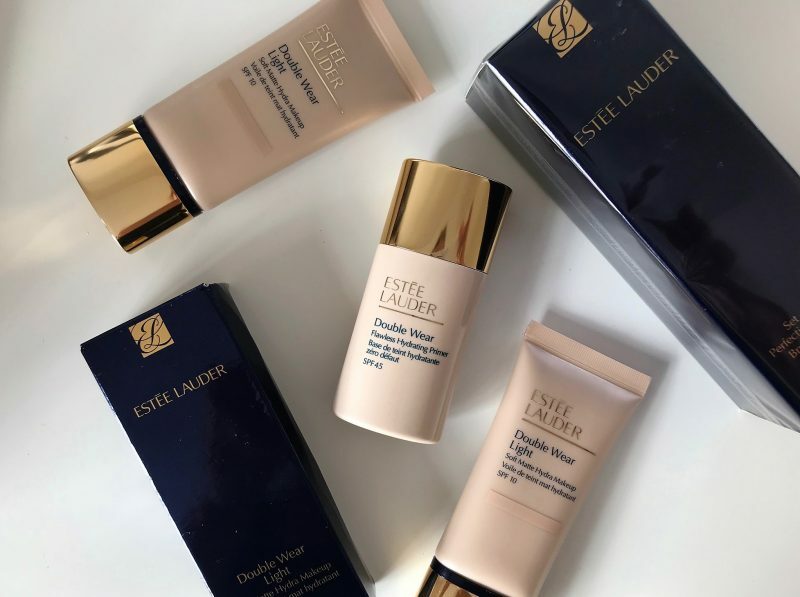 Another great launch from Estee Lauder! 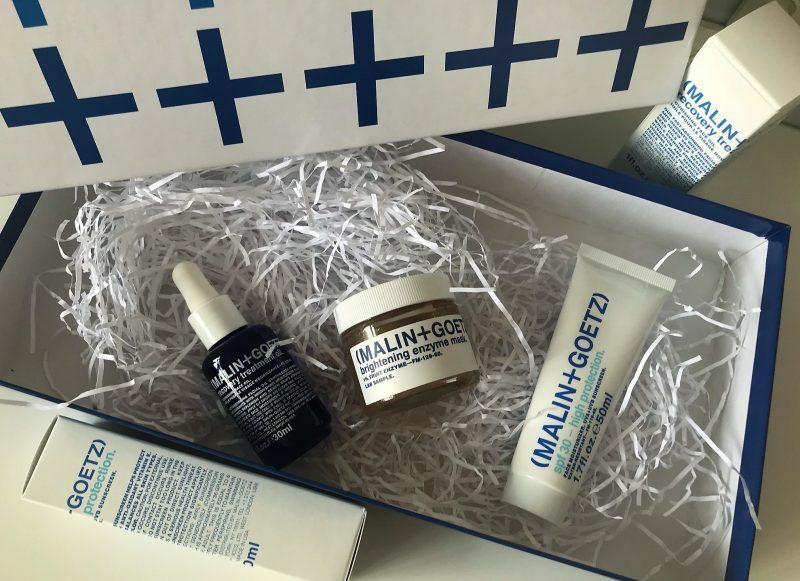 Hooray to more new skincare! I’m at such a lull at the moment with my current skincare regime, that I’ve welcomed any new products into my life with open arms throughout August. 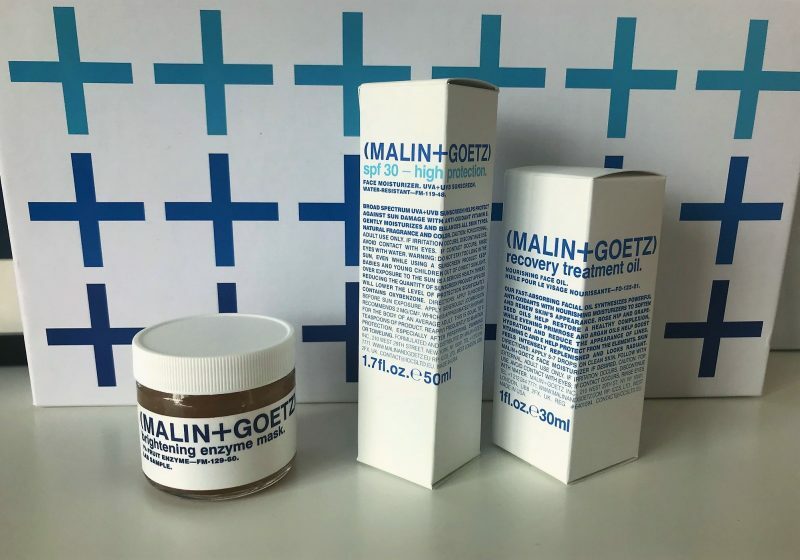 One in particular that stands out to me is the new Malin & Goetz Brightening Enzyme Mask. My dull skin was crying out for a mask which really works to reveal newer, brighter skin. The new mask contains natural pomegranate and pumpkin enzymes which team-up with advanced AHAs (alpha hydroxy acids) derived from bilberry, lemon and orange to brighten and smooth. It’s also packed with revitalising ginger to awaken the senses. I’ve been using it around twice a week, and literally leave it on for just 5 minutes. Honestly, you don’t need to leave it on any longer – 5 minutes is more than enough due to how effective it is. It quickly dissolves any dead skin cells and works immediately to improve clarity and even tone. I found no irritation at all from it, and saw clear, bright, glowy skin from the first go. It’s a real pleasure to use, and also a good one for mornings too with the ginger scent, and no redness too. Alongside trying out this new mask, I’ve been using the SPF 30 from the brand afterwards, as I’m aware HA’s can make your skin a little more sensitive to the sun. And also the Recovery Treatment Oil, which appears to be a little of an ‘all-rounder’. It’s pricey at £66, but acts as a serum to boost hydration, reinforce skin’s moisture barrier, and soften the appearance of lines and wrinkles. 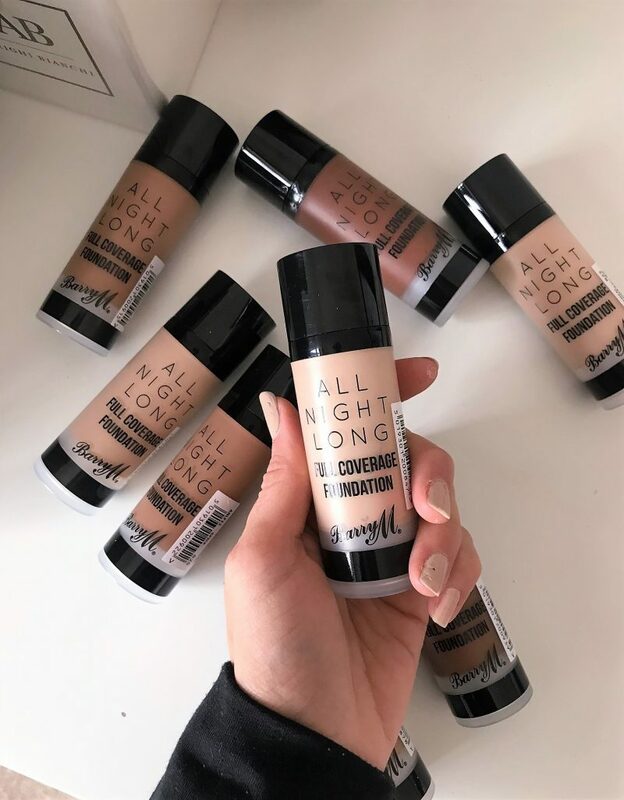 As most of you know, I’m a makeup artist along side running whatemmadid.com, so I’m always looking into new foundations and concealers to add to my kit. I honestly believe that good quality foundations and concealers are the key to any good MUA kit. Once the base is right, everything else falls into place (within reason!). I have to admit, before I was introduced to NOTE, I wasn’t familiar with the brand. But when I discovered the Detox and Protect Foundation and saw it’s lovely 24 shades, I was quite excited to try it out. The foundation is filled with Sweet Almond Oil, Yeast Extract, and Vitamin E, so it’s packed with skin beautifying natural ingredients. It also functions as a shield against free radicals and environmental factors. I have to say, I do always favour a foundation with extra benefits! I didn’t expect it to have such a full coverage finish, but it really does. 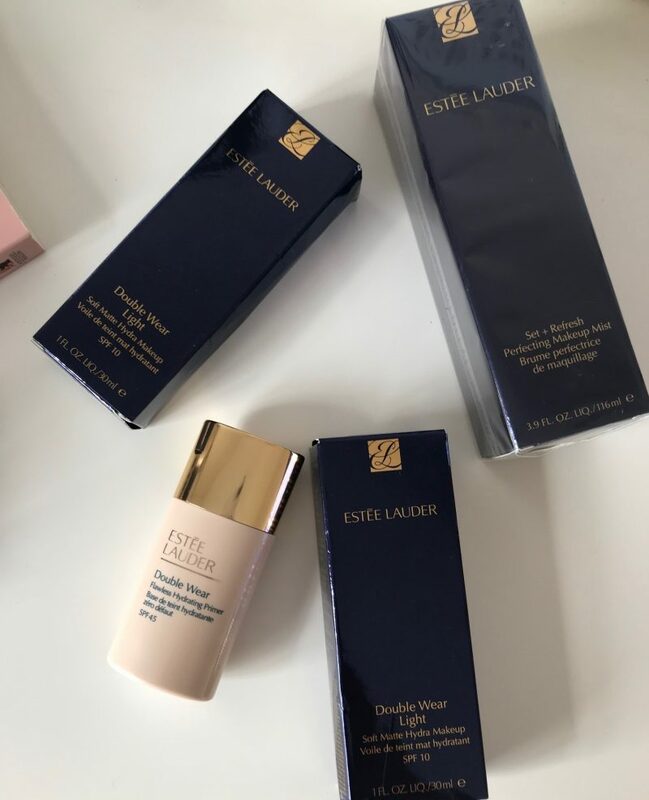 One-two pumps gives a gorgeous complexion, and for any hard to cover areas I have like dark circles and spots, I lightly went over with the concealer I have from the brand too. The texture is silky, and blends smoothly into the skin, making it ideal for all skin types. I totally understand now why they say this luxurious product rivals foundation costing a lot more, as it’s just £17.85 but is actually quite similar to MAC studio fix, and even has the SPF 15 too. The concealers remind me of those from Stila, that are quite glowy and build up a full coverage when you tap them into the under eyes or on top of blemishes with a concealer brush. 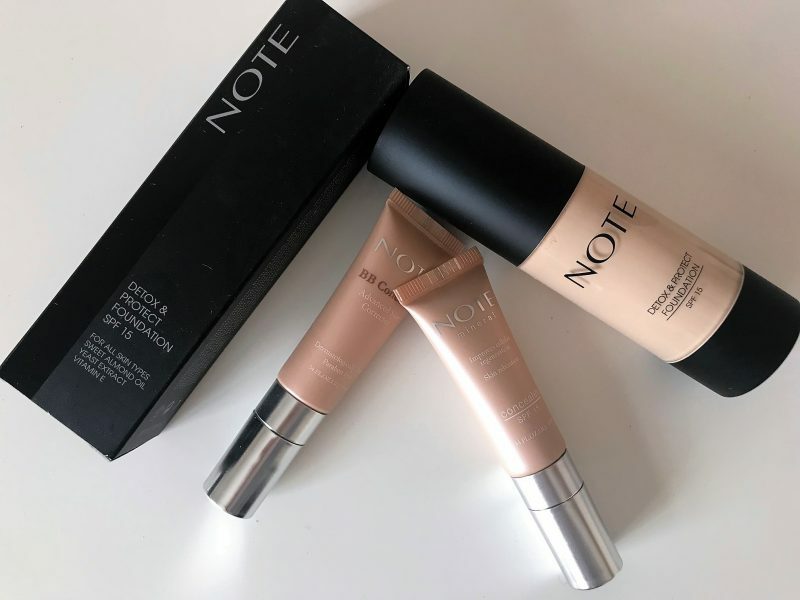 Very impressed with Note Beauty, and happy to add these products to my professional kit. 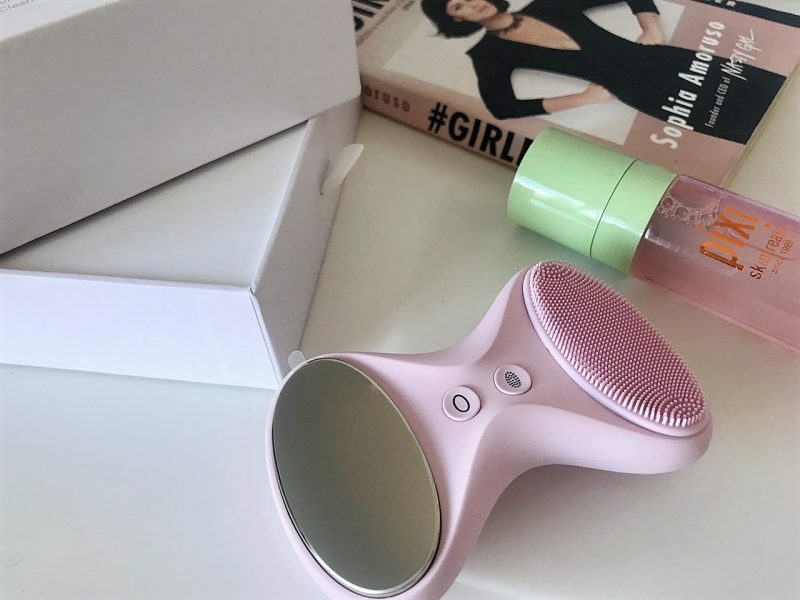 Over the past year, everyone’s been talking about the delightful K beauty trend and some of the fantastic brands to come from the Korean beauty world. 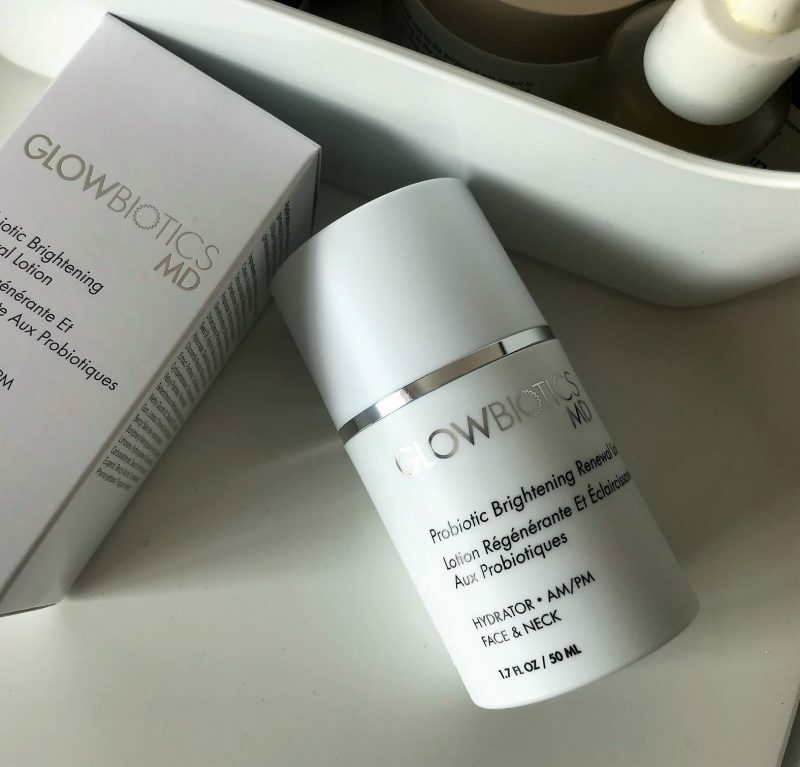 After being introduced to this brand, I was more than happy to treat my complexion with a few of their Korean beauty marvels that deliver firming, lifting and anti-ageing benefits. As well as these benefits, the products act as impressive primers and moisturisers. I’m all about the ‘face base’, so lets see which one was my favourite from the Jelly Pack or the Jelly Cream. The J.ONE Jelly Pack is one of the highest-selling beauty products in Korea, selling a HUGE four units every minute. The hero product is joined by the antioxidant rich J.ONE Black Jelly Pack, and the firming and hydrating J.ONE Jelly Cream. The trio of skincare staples are available in the UK from Selfridges, FeelUnique, LookFantastic and Cult Beauty. 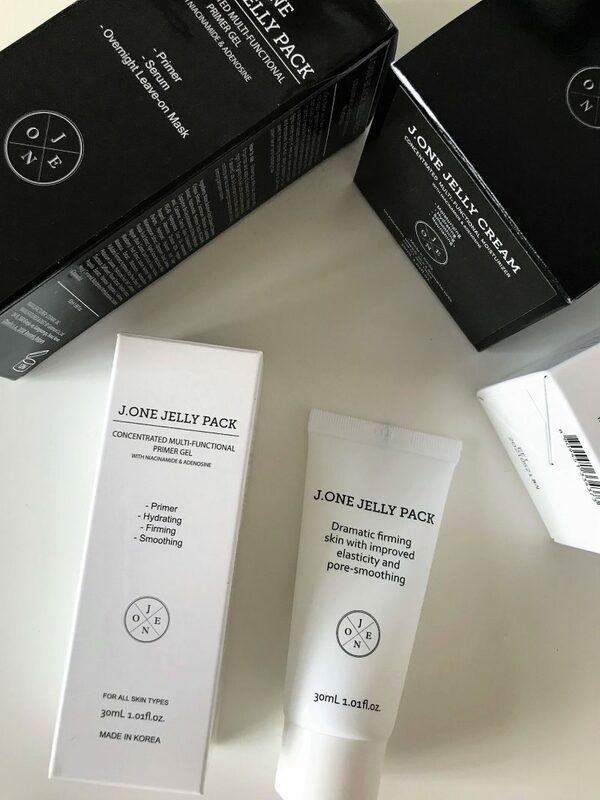 Created with fragmented hyaluronic acid, the J.ONE Jelly Pack (30ml costs £20 and 50ml costs £32) penetrates deep into the skin layers to visibly reduce the appearance of fine lines and maximise elasticity. The ‘black’ version is said to be an ideal product to treat your skin to whilst you sleep, as it harnesses seven powerful antioxidant rich black ingredients to protect the skin from the outside in. 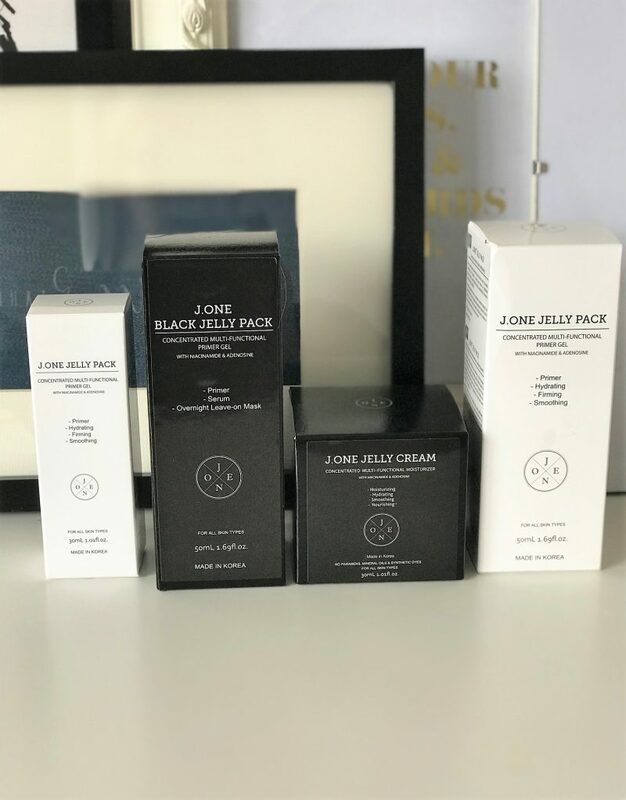 So, the J.ONE Jelly Cream 30 ml (£32) is a nourishing cream which includes a Nobel Prize-winning ingredient to brighten and visibly plump the skin. 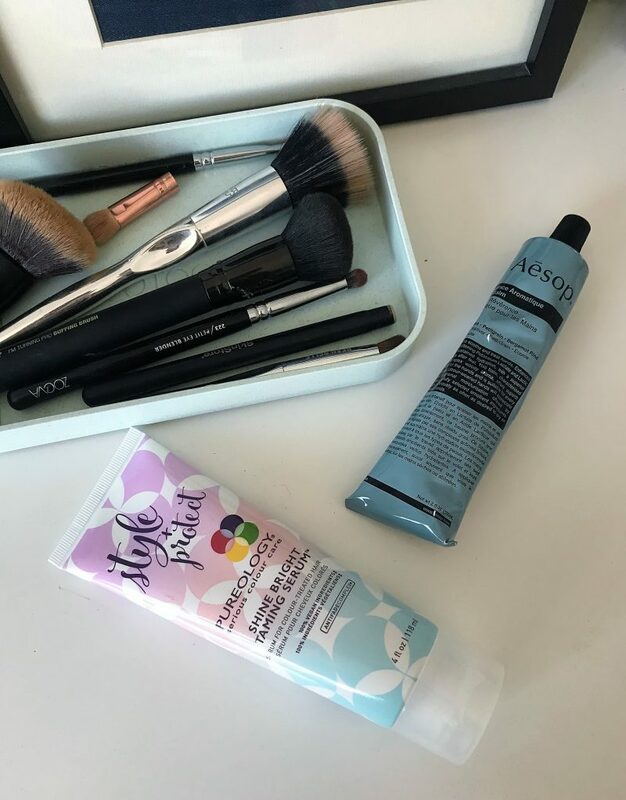 Both quite similar in what they do, except I find the Jelly Pack works best as a primer before moisturiser or makeup and really plumps the skin, smooths it out, blurs imperfections and generally gives me the feeling that I have great skin (which I definitely don’t). 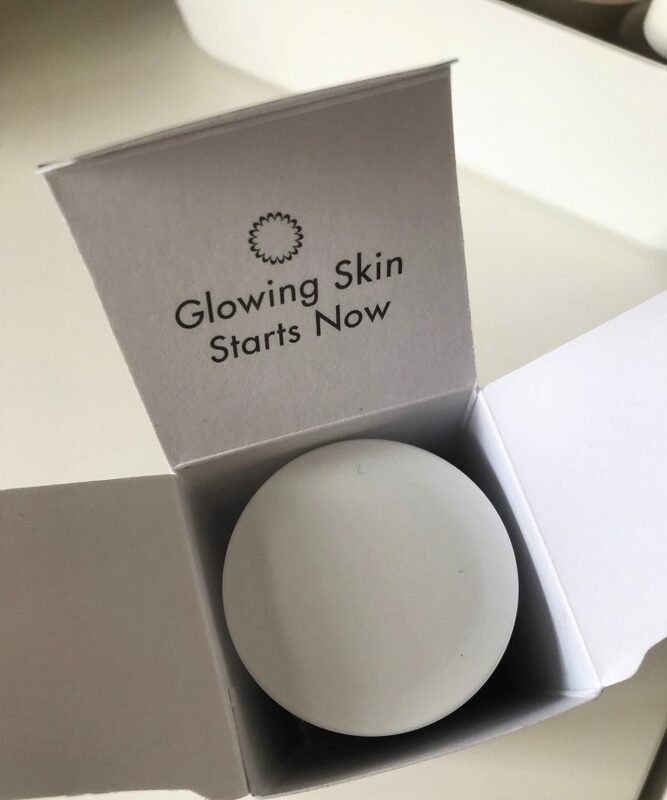 I was pretty happy to receive a facial device as a new beauty product to discover in August, mainly as facial devices are usually products I don’t tend to think about often. 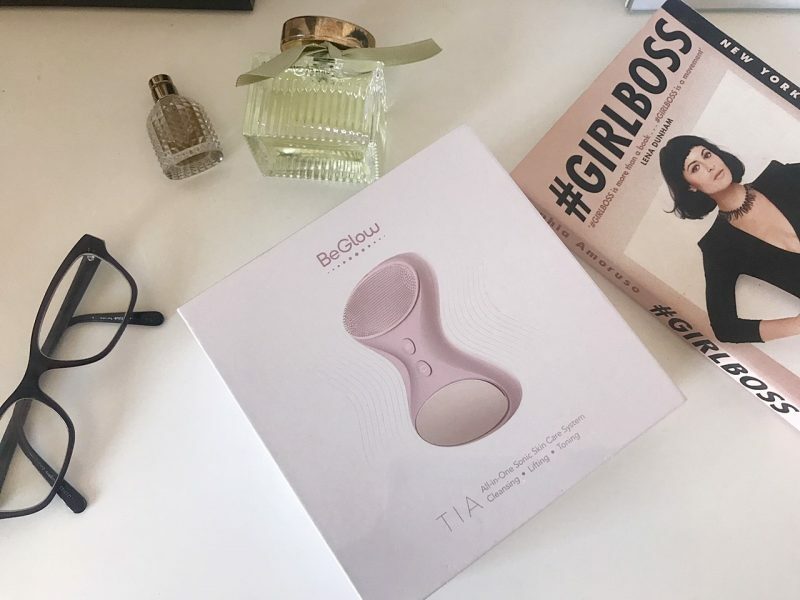 This gorgeous pretty pastel pink version arrived, and I was happy to finally give myself an excuse to get into using a cleansing device with a silicone brush head to thoroughly remove bacteria, dirt build-up, makeup and impurities. It’s a waterproof, rechargeable cleansing device which is ultra-hygienic. 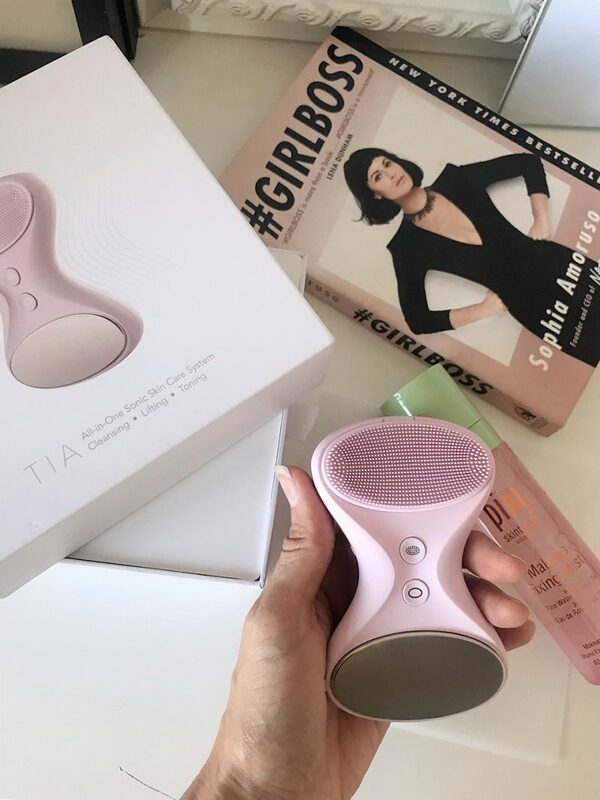 I researched into it well before my first use, and saw it is utilising a gentle SkinSense technology, where the device’s pulsations build on contact with skin, increasing intensity naturally for a comfortable, customised experience. The pulsations that pulsate onto the skin help to dislodge dirt and residue to leave skin feeling pure and revitalised. 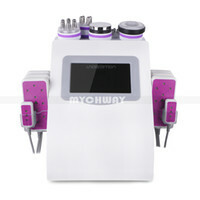 They say that by using a device like this, it’s much more effective than manual cleansing. Do I agree? Well, from using this for the past two weeks, I do see where this statement comes from. I simply applied my cleanser, and then press the devices control button 1 to start SkinSense cleansing. The pulsation starts immediately when the cleansing brush touches your face. I just adjusted the pulsation according to my needs, but generally kept a standard cleansing mode. After my entire face has had the ‘BeGlow’ treatment, I simply rinse and dry. Straight away, there’s no redness or irritation even though my skin has had a deep cleanse. I seem to have no doubts that my skin has had it’s deepest clean, every time I use the device. It just feels super squeaky clean, and almost like my night cream sinks in better and works to it’s full potential after I use it. For those that haven’t used a Clarisonic or Magnitone before, I’d recommend looking at this one first. 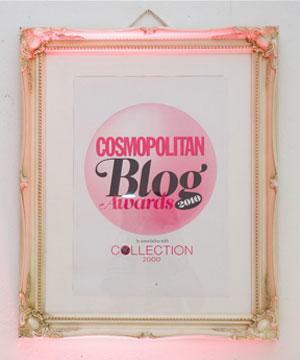 It’s real gentle and a pleasure to use, but it also looks so bloomin’ cute and pretty on my bathroom shelf! Annnnnnd last but not least, the foundation I talked about in a recent YouTube vlog! 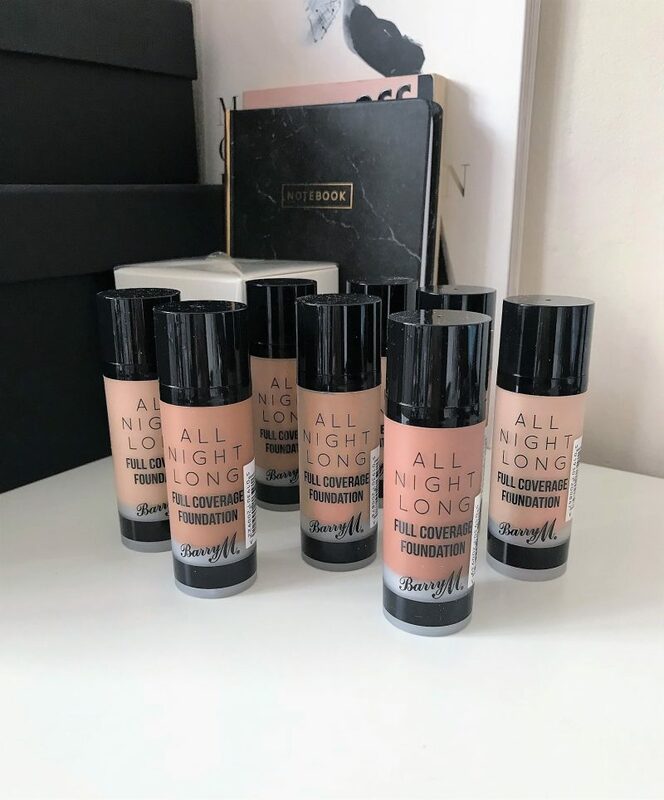 Barry M recently launched a range of foundations, the All Night Long Full Coverage Foundation, which is a £7.99 foundation in 15 shades. 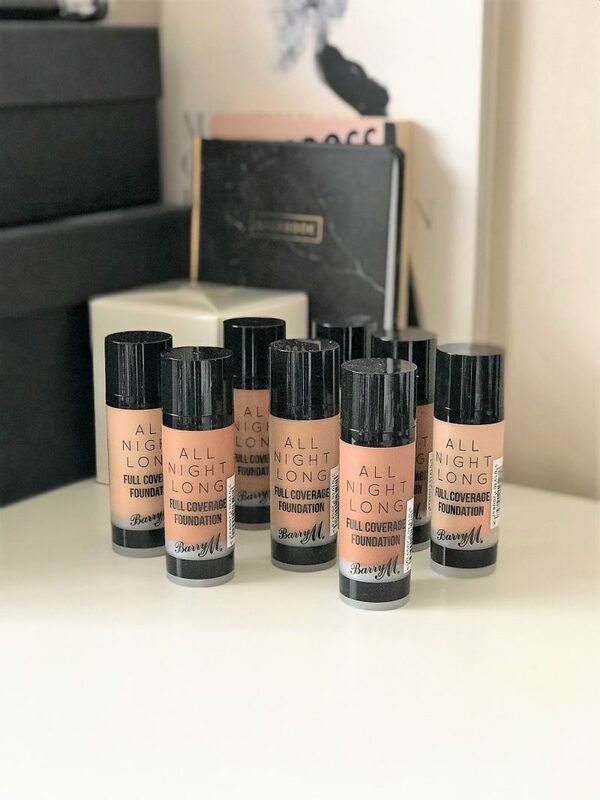 I was super happy to discover this launch because I’ve mainly been wrapped up in premium, higher priced makeup brands all through August, so when I was given these ahead of launch to try out, I was first of all ecstatic that they cost just £7.99. The product actually feels quite watery and ‘light’, so I wasn’t actually expecting a full coverage from this. But, although I needed two face applications to create it, it did give me a full, fresh coverage. Imperfections were covered, and my skin was given that lightly airbrushed look that more expensive full coverage foundations achieve. When I first tried it, I applied it in the morning. I’d say that when it came to removing my face at around 7.30pm that night, it was still very much intact. It hadn’t faded or streaked a little, or go a little patchy. I was pleasantly surprised and happy with it’s staying power. I would say I needed more of this than some of my other long lasting foundations to give me what I would say is a ‘full coverage’ look. However, I say that with very dark circles, a lot of breakouts and red marks scattered around my face. I reckon someone with a clearer complexion than I would achieve a very satisfying full coverage quicker than I did. A great launch from Barry M, and one I feel will be a great one to buy that doesn’t break the bank, and gives a long wearing, lovely coverage. I now have a fair few shades of this added to my pro MUA kit!